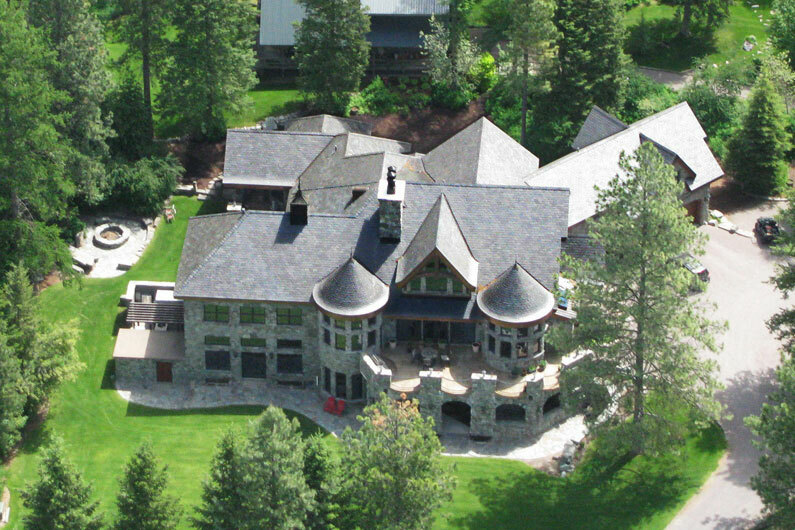 Can you imagine anything but slate on a home like this one? 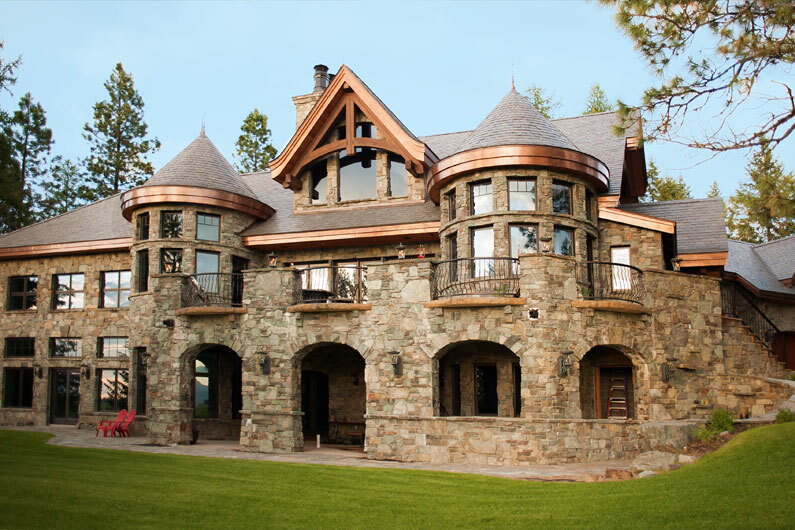 This beautiful estate has distinctive copper trim that sets off Vermont Gray Black slate. This large and intricate roof consists of 18″ x random width slate with 1/4″ to 3/8″ slate thickness.